Appears to be scanned charts; when you zoom in the charts get 'jaggy'. This app is absolutely one of my favorites, and inexpensive--been using it for years! Now there is the XC version with geo-cached overlay approach charts. It's very easy to use. Double tap near an airport on the chart, and the information appears, including airport facility directories and approaches. 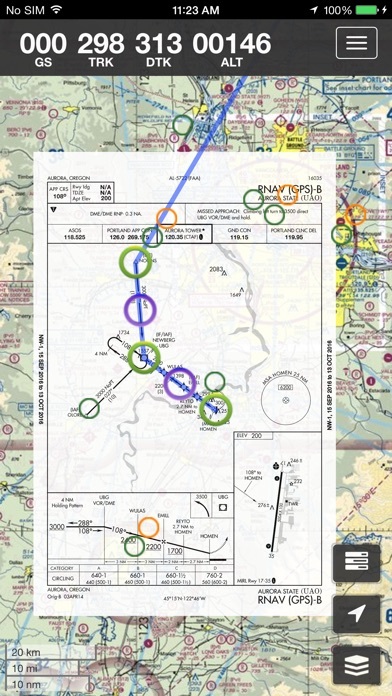 It's very easy switch between sectionals, WAC charts, and IFR charts, to name a few. 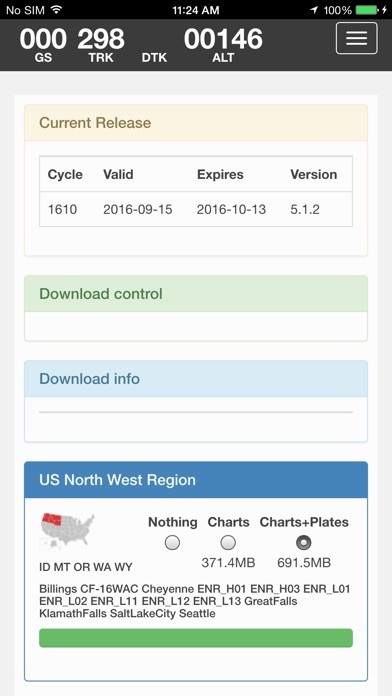 Regions can be downloaded for caching- no need for cellular or wifi. Mostly, it's uncomplicated unlike most of the super sophisticated, and expensive apps out there. I don't need to be fumbling around in the cockpit struggling with an app, if you know what I mean. There is no need to subscribe for the whole year, and can be set up to automatically pay on a monthly basis, or manually per chart cycle. I liked the old version for its simplicity. It was a good backup for FlyQ. I purchased this app, but still had ads. I contacted them & they fixed it right away. Awesome, quick customer service & easiest flight app to use of the ones I've tried! Wasn't thrilled by this update at first. I talked to the owner and he help me through it,it is having a little trouble but they're fixing it now if you send him an email he will walk you through it. The original one was much better this one has a few issues but they're working through them for example if you have the map in one location and it jumps to another location if you put a route and it will stay on the location that you have it set at. The clarity is getting better when you zoom in. So they're working on that. All in all I think it's one of the better options out there. He's trying to fix any issues it might have and he is very diligent at getting back to you in a timely manner so if you give it a chance I think you can get this to work for you. And yes it does have some downloaded issues but just plug in your phone or iPad let it download overnight it should be fine by morning. Just don't unplug it and make sure that it's plugged in and set it and forget it. It's a very big app and has lots and lots of charts especially the plates so just give The entire night to download and it should be finished by morning for sure. I'm not sure if he fix that one yet I think you may have. But remember it's thousands of charts so it's not unheard of that I could take many hours. All in all I would recommend this app it does serve the purpose at hand and that is putting in a route and being able to follow it while you're flying. It is worth the $3.99 fee. I've done my best to support this developer. 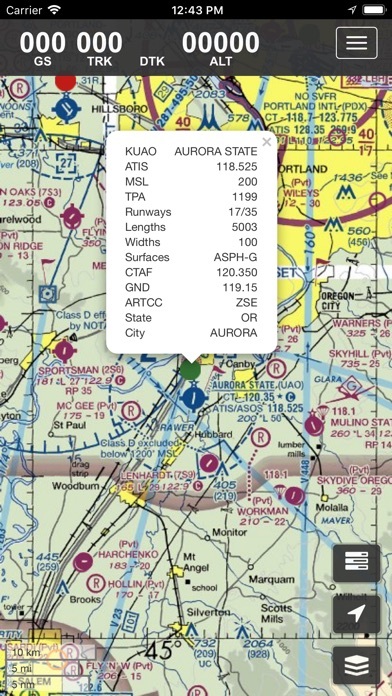 I'm a flight instructor who has suggested this app to my students for years. I'm not sure why he decided to completely change the app, but it is absolutely for the worst. It is about as un-user friendly as you could possibly get. 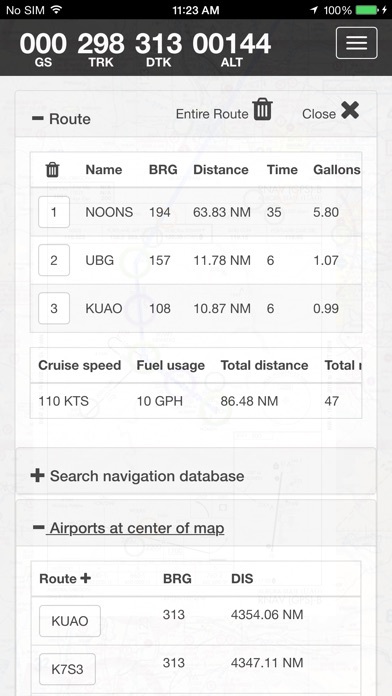 I have flown with the old app all over the country and way down to the south tip of the Bahamas. It used to be that if I needed an approach plate or airport diagram, I could bring up the airport and click on what I needed. It downloaded it right there in seconds. Unfortunately, the old version no longer exists. I paid $4-$5 for this new app, so my wife and I could take a trip. Nothing on it worked. We couldn't bring up a plate without downloading several states. After several attempts and an hour per attempt, they never did finish downloading. We had to make the trip without a working app. Several dollars well spent. Also, the auto renew on the subscription made me mad. I'm all for the guy making money, but this is ridiculous. I had to google the way to turn off the auto-renew, and it wasn't easy. Of course, Apple makes it as complicated as possible. Love the geo-referenced plates directly on the map! Flight sim support makes it easy to practice approaches! And support is great, got an answer right away! What's up with the banner ads on the paid version recently? No good. Takes forever to load now. The most important thing about a chart is to actually be able to read it. The previous version of this app had excellent chart clarity. But not the XC version. It's all blurry when you zoom in to read things like frequencies and obstacle elevations. Total waste of time. 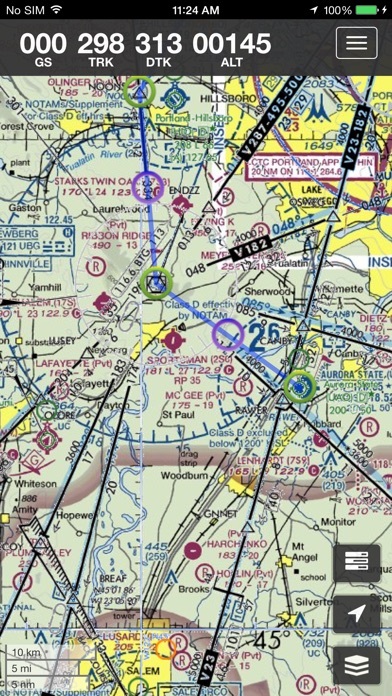 This is the updated version from the old SkyCharts pro. It's clunkier, slower, doesn't interface with sims, why is my current location always used to start route planning? It's just obnoxious. They ruined a good, simple thing. This new version adds nothing on the old one, just a bad interface. The sim thing was nice to have, but not a big deal, but for it to not even load charts sometimes when I open it up, that's an issue. It basically has one job!